Jivi mobiles have launched its new revolutionary offering- “RevolutionTnT3” Touch & Type 4G smartphone. Priced competitively at Rs 3999, Revolution TnT3 is set to take the smartphone market by storm. The innovative product offers great style combined with advanced technology. Almost 60% of the population in India still uses feature phones and is apprehensive to make a shift to smartphones due to the perception of the smartphone being complicated to use. The idea is to reach out to those who are graduating from feature phone to smartphone so that they can have the best of both worlds. Revolution TnT3 is a unique device with dual exposure and 22 regional language support, with a touchscreen of 10.16 cm (4”) WVGA display and fingerprint sensor. Powered with 2300 mAh durable battery and Quad-core processor – 1.3GHz, the smartphone is the ideal device for multi-tasking. Talking about the new product, Mr Pankaj Anand, CEO of Jivi Mobiles said, “At Jivi, our focus is on providing cutting-edge technology at best prices. Our research team has worked tirelessly in making this a reality. We are one of the only company in the country to have developed such a unique product and are offering it at such amazing price points of Rs. 3999. 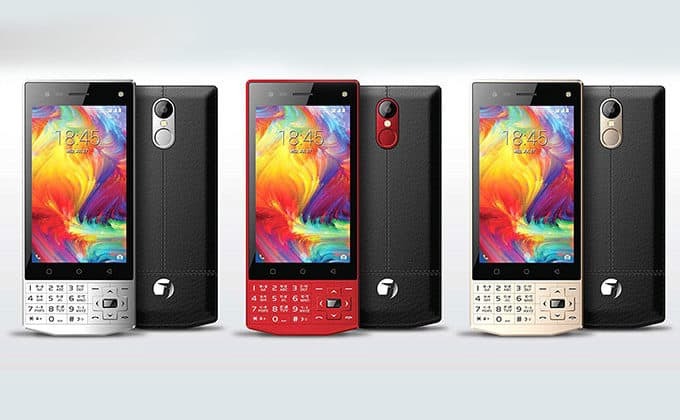 This is the only 4G Smartphone with Touchscreen & Keypad. “Currently only limited quantities of the product are being made available in the markets through selective retail outlets in all the four regions of the country. The product would be made available in big quantities by the middle of February 2018 to meet the customer demand. However, that should not deter the customers, dealers to place orders with the company immediately as the product quantities would be decided on first come first serve basis, we have a plan to sell 2-3million device in next financial year” added Mr Pankaj Anand. Jivi mobiles have recently entered into the smartphones, launching 5 models at affordable prices and has received a tremendous response. Jivismart phones exhibit great style combined with cutting-edge technology, the devices aspire to be the ideal companion for people who are looking for offering seamless and enhanced user experience at an affordable price.Jivi Mobiles also appointed Bollywood personality Irrfan Khan as their Brand Ambassador early this year. 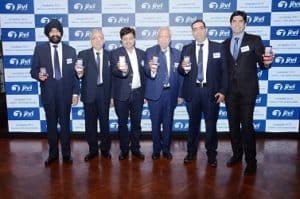 Jivi Mobiles has taken a major step in the direction of realizing Prime Minister Narendra Modi’s Vision of ‘Make in India’ by setting up two new facilities. Jivi Mobile first factory is in New Delhi built upon an area of 20000 sq. ft. which caters to North and East India demand of Jivi Mobile phones. Company’s 1st facility in Delhi has a capacity to roll out 0.7 million phones per month and it employs some 350 employees in the first phase. Jivi mobiles Launches Touchand type 4G Smartphone 3 out of 5 based on 1 ratings. 1 user reviews.